But the 15th battalion made up of men from across Provence, Nice and Corsica, was sent into the Battle of Lorraine, with bayonets. They hardly even saw a German soldier as they were cut down by a barrage of machine gun fire and shells. From 20-22nd August, both the Provencaux and the 20th battalion of men from Lorraine had no option but to retreat. In Paris, the Minister for War wanted an explanation. Général Joffre explained that his plan had been ‘superbement entamé’ and its failure was purely due to the cowardice of the southern troops. 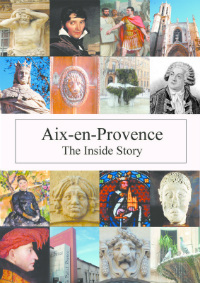 The minister had a senator write an article condemning the men of Provence in Le Matin, which was read on 24th August by nearly 2 million people across France. There was fury in Provence but the damage was done. 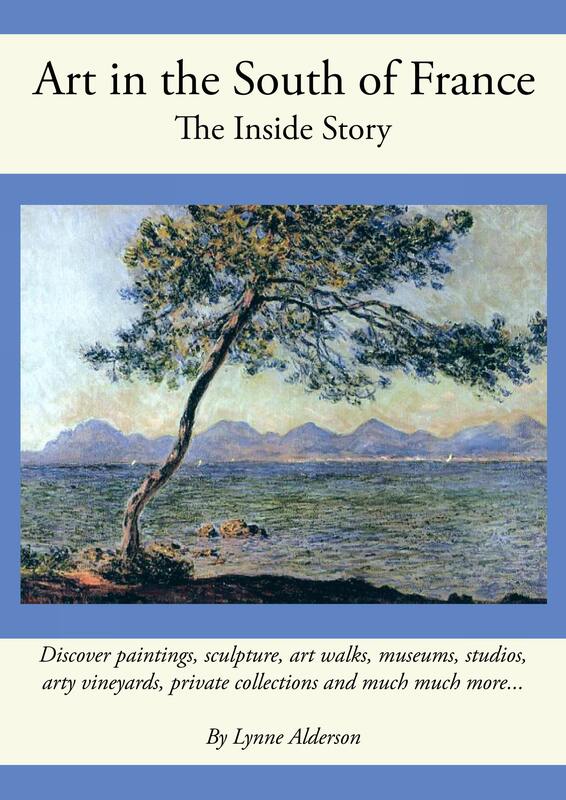 It was to be even more damaging for Auguste Odde from Six-Fours and Joseph Tomasini, a young Corsican. Both had been wounded in the arms and were charged with self-mutilation. They were court-martialled on 18th September on the evidence of one doctor and, with no testimony to their bravery allowed from their commanders or colleagues, were shot the following day. Both men were exonerated after the war when the testimony of their comrades was finally heard and officers were sent south, on behalf of the Republic, with military medals. In Corsica the whole village turned out to honour their soldier but in Six-Fours, Auguste’s mother refused to open her door to the representatives of the military who had killed her son. 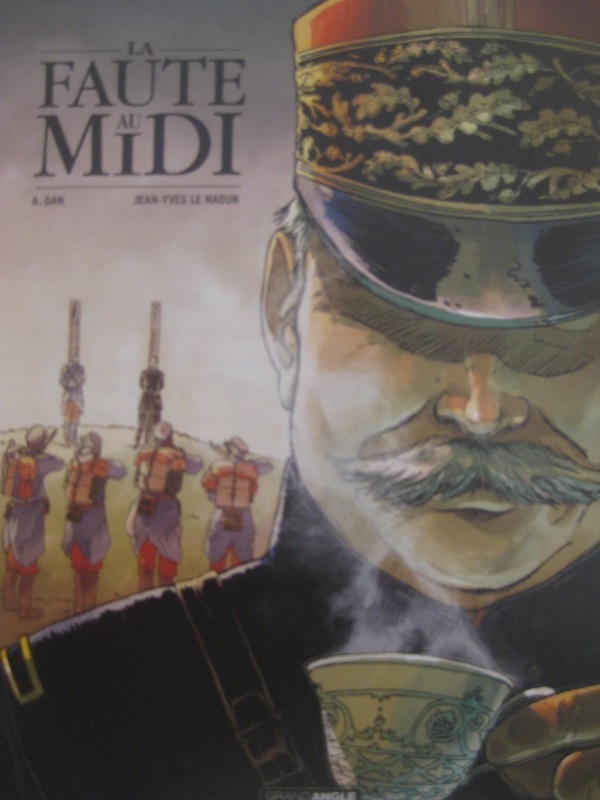 The book La Faute au Midi is a bande dessinée by historian Jean-Yves Le Naour and illustrator A. Dan, launched during the ‘Festival de la BD d’Aix’. 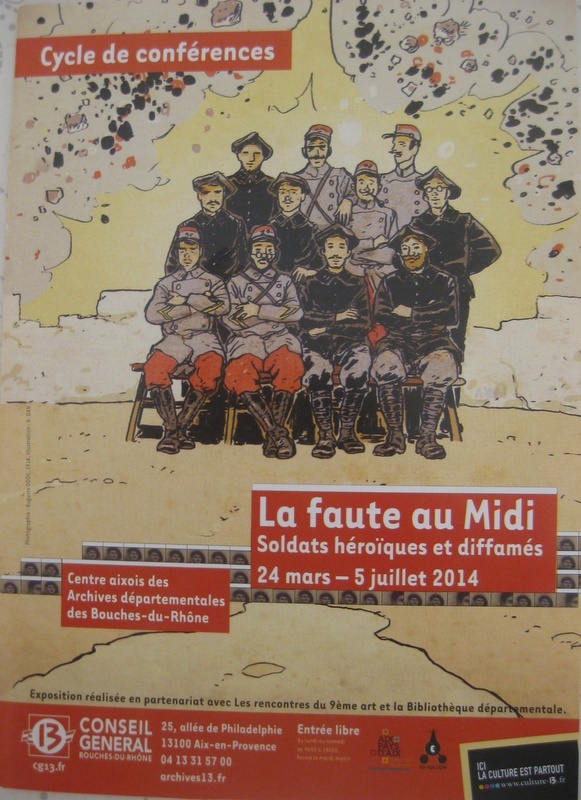 The accompanying exhibition combined these drawings with many exhibits from the period: local mobilisation posters, uniforms, postcards from the troops, diaries and so on. It was fascinating and very very sad.